A new series of bespoke, full-coverage resources developed for the 2016 GCSE Computer Science qualifications. 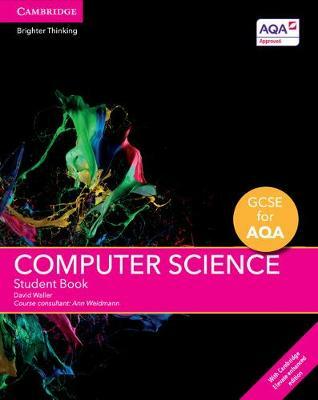 Written for the AQA GCSE Computer Science specification for first teaching from 2016, this print Student Book and enhanced digital bundle is designed to help students master underlying computing principles and concepts, and develop their computational thinking, programming and problem-solving skills. Interactive worksheets consolidate students' learning and rich digital content including animations help relate computer science to everyday life. This resource allows students to annotate text and add audio notes, and enables teachers to assess, track and report on students' progress. Accessible online and on tablet devices through the Cambridge Elevate app (iOS and Android).